Welcome. 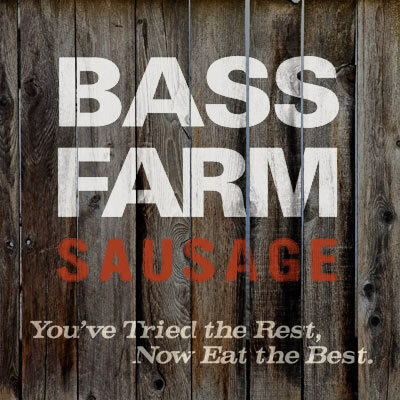 You’re probably looking to hear a bit about how Bass Farm Sausage is the freshest, tastiest of its kind in the South (which is another way of saying ‘anywhere in the world’). It’s true. We haven’t changed a thing since our grandmother gave us the recipe over 60 years ago. That means using the whole hog to make our sausage, and delivering it personally to each and every store. We sit down and TASTE every batch, because there’s just no better way to make sure the sausage we’re sending out is worthy of the Bass Farm name. In fact, we could go on and on about what makes our sausage better than those other folks (going on and on is another family gift, truth be told). But the easiest way for YOU to know is just to taste it, too. Since 1956, we’ve been making the freshest, most authentic pork products around. What started in Mrs. Florence Jenkins Bass’s kitchen is still true today. Nothing’s changed. Not her recipes, not our commitment to the finest cuts of pork from the whole hog and the highest level of service. We still deliver daily, for example, like the milkman and bread fellow from days gone by, and we take products off the shelf after 20 or so days (not 180 like other brands). One more thing. We’re not just a company. All the people that give their time and heart to this is a member of our family. That means they come to work with the clear-eyed notion of seeing that our customers get the tastiest pork for their breakfast or dinner plates. There–now you know most everything you need to know about us. But if you’ve got any particular questions, call us or come by our place in Spring Hope, North Carolina. Also known as the birthplace of the best sausage in the world. 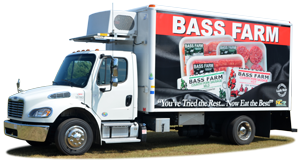 Truth be told, the Bass Family’s first products had nothing to do with pork. 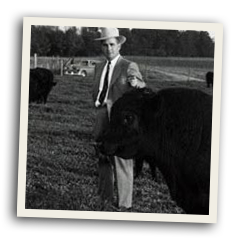 Ralph Bass first tried his hand at tobacco farming in the early 1950s. That may strike you as a strange start to making sausage, but by the time his mother had blessed him with her recipes in 1956, he had developed some very good habits from handling tobacco. Habits like being patient with the leaves, watching their growth and choosing only the best for sale. So when those two qualities hit a conjunction–his mind for quality and her gift for cooking–well, something truly special was created. They both knew it as soon as it hit their taste buds–this was a better way to make sausage. This was what they should do with their lives. People agreed. By the 60s, word was out all over eastern North Carolina that some delicious, whole hog sausage was being made right here in Spring Hope. Demand grew faster than weeds, but Ralph Bass kept to making only 100-lb batches, and insisted on tasting every one. And they didn’t have access to chemicals and the like, so he stuck with only all-natural, high quality ingredients. He was creating the standards for Bass Farm that still exist today. But with the demand came growth, of course. A bigger plant. More people coming on to help out. And Ralph noticed, as the years tumbled by, that a funny thing was happening with these people. They weren’t going anywhere. When people came to help, they stayed. They became a kind of second family to Ralph and Florence and their family. 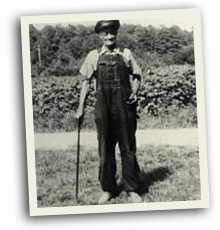 Fellows like Doc Gupton, who worked on the construction of the plant, and when that was done, became Bass Farm’s first security guard and night watchman. Doc tended to take this latter role seriously–when told by Ralph to shoot at anything that came near the plant, well, he shot up the sheriff’s car one evening when he drove up. 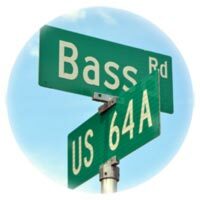 Nowadays Bass Farm is still run by the family–and all those extended family members that just won’t go away (thank, goodness). 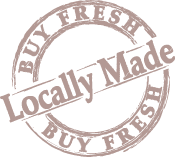 So that means you can still count on Bass Farm for the tastiest sausage and pork products, delivered fresh every day. It’s down-home goodness, from our home to yours. Like any family that claims cooking as a skill, we know we’re only as good as your last bite of our sausage products. So each and every one of the choices you see below has a few things in common. Freshness, quality, consistency…and most of all, some Bass family sausage recipes that are as authentic as they are delicious. The original. We haven’t changed a single, delicious thing from Mrs. Florence Jenkins Bass’s recipe–there’s no reason to! Plus, it’s still made in 100-lb batches and never frozen to make sure we capture the best flavor. For those seeking a little extra kick in their sausage, a pound of this is sure to satisfy. It’s made in the same small batches and quality pork as our Mild, but we’ve added some serious spice and seasonings to keep your taste buds smiling (and sweating)! Whether you like HOT or MILD, our bulk sausage packages are the only ones on your grocer’s shelf not made with sugar! Proof that good things come in small packages. We make these sausage links with our own secret family recipe (and not-so-secret family commitment to quality and freshness). You won’t find or taste a better link sausage, period. A unique family favorite. 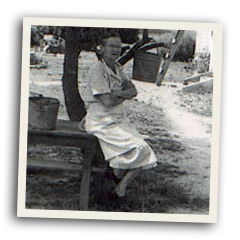 In the early 1930s, Mrs. Florence Jenkins Bass would hang fresh link sausages in the smokehouse, to let them cure (dry out). These sausages bring that mouth-watering tradition to your table today! Step into just about any eastern North Carolina home (we do recommend you knock first, though) and you’ll find a fan of this unique blend. We think it’s got something to do with the fresh ingredients, our family recipe–and its eyebrow-raising kick. Made in the country and full of down-home country taste. C-Loaf is a Southern tradition (if you’re a true Southerner, you’ll know what the ‘C’ stands for). Pick up a pound, heat and don’t forget to pass the vinegar and hot sauce! Enjoy!